Distance: 0.2 miles. Not a typo, 0.2 miles. Terrain – Dunes and history. 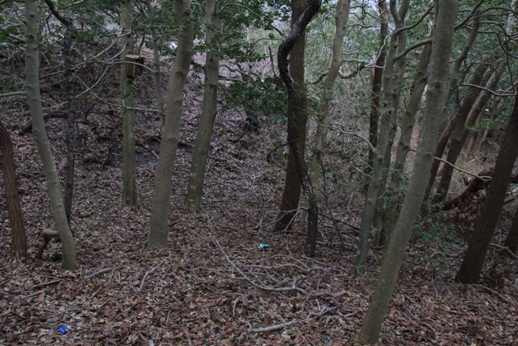 Start and end of trail. Benches? Not along trail, but are several at the trailhead. Facilities? : Yes, full bathrooms at the Visitors Center. Markings – None, but fenced in, so you can’t get off the trail without really trying hard. Description: This is probably the shortest trail I’ll ever post (2017 update – I’ve done one shorter in all this time since), liberally marked as 0.2 miles (it’s actually even shorter than that). Nevertheless, this trail is awesome. 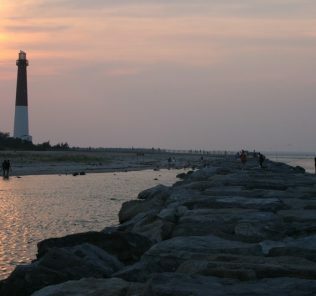 Being from New Jersey, I’ve seen and enjoyed pretty much every beach from Cape May to Sandy Hook. 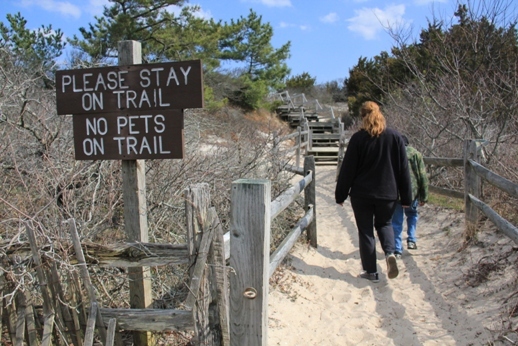 What makes this tiny area of state park different is that it’s the dunes preserved as they would have looked hundreds of years ago before the building boom. Scraggly trees create a dark, cool forest canopy on even the hottest summer days. You almost forget that you are in the dunes! Wait? This is the beach? 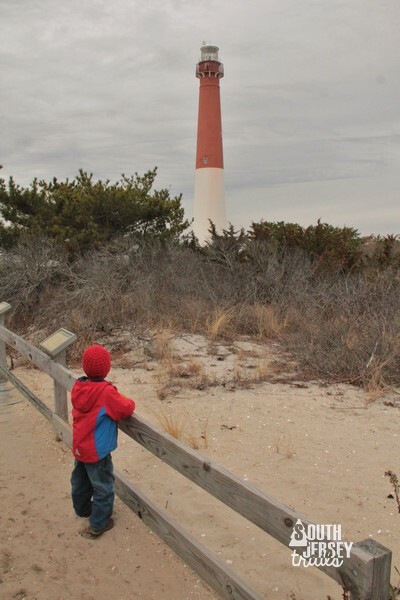 You also get views of the beach and Barnegat Inslet, glimpses of Barnegat Lighthouse towering over the trees and plants, and an anchor of a no-longer-exhistant radio tower. The hike takes fifteen minutes if you are really, really slow. 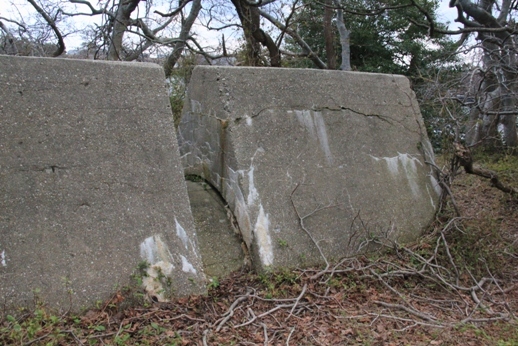 Part of the anchor system for an old ship-to-shore radio tower. 2017 – the Pres has grown! The Pres was so little! 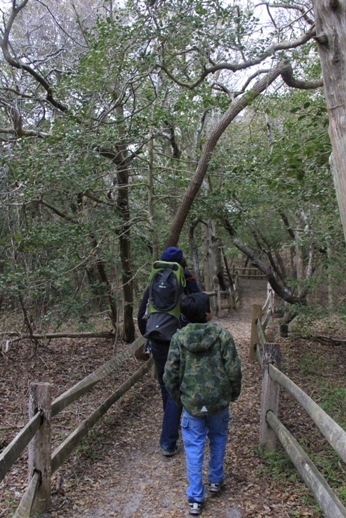 “As the person who initiated and designed the trail (over lots of objections) It is nice to know that you enjoyed your walk and let other visitors know about it. It was a fun project to do. Amazing warblers in May and October. By the way, the foundation was the anchor for one of the cables that supported the towers for the cable tram system used to carry jetty stones across the inlet during the jetty construction, The was a wayside exhibit with an old photo.” ~ Bill Vibbert. 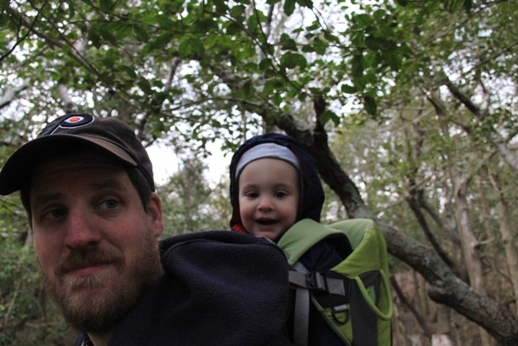 Thank you for making one of our favorite trails happen Bill! Nearby – Don’t leave yet though! 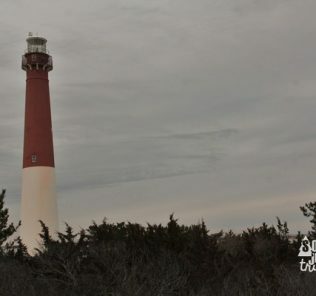 $3 will let you climb Barnegat Lighthouse, one of the tallest on the east coast. Take a walk down the concrete walkway and, if you are the adventurous sort, climb through the rails and walk/hop the jetti all the way out to the very end where the foghorn is. It’s a good mile walk/hop from the tower to the end of the jetti, leave plenty of time for hopping, admiring seagulls, looking for shells, admire the lighthouse, etc. 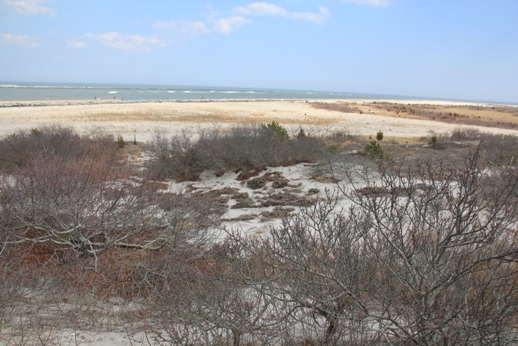 Great views of the beach, views of Barnegat Lighthouse, old anchor point for a radio tower, and more trees than you could imagine. 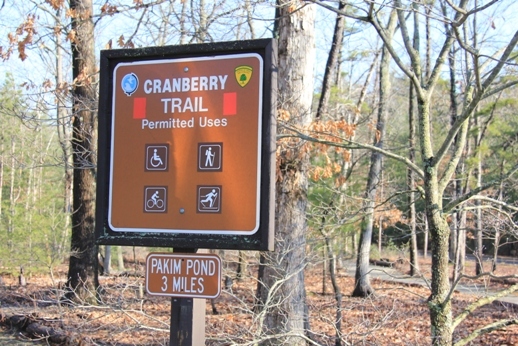 One of my favorite trails in all of South Jersey. With the lighthouse and the jetti walk there, how can you NOT go? 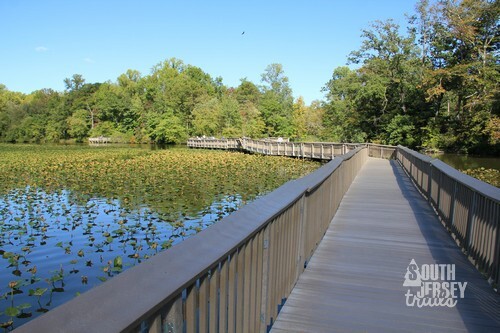 As the person who initiated and designed the trail (over lots of objections) It is nice to know that you enjoyed your walk and let other visitors know about it. It was a fun project to do. Amazing warblers in May and October. By the way, the foundation was the anchor for one of the cables that supported the towers for the cable tram system used to carry jetty stones across the inlet during the jetty construction, The was a wayside exhibit with an old photo. Thanks for the hard work, the trail is one of my favorite spots! Thanks for the trail suggestions! 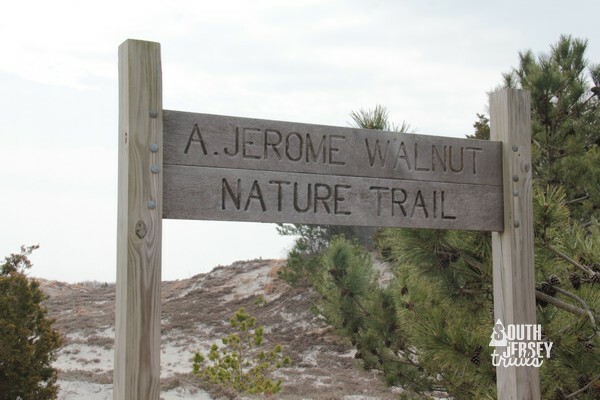 I’ve heard really good things about Wells Mills and Cattus Island from multiple people, I really need to get out there and hike them! Jakes branch in Bayville? I live in Beachwood. i think it is in Beachwood? Its actually close to my house and gets little use ..well the area i am talking about is in between Beachwood and South Toms River.There used to be a bridge and the sides are still there. i was trying to get some history on it because it was no skimpy bridge and I wondered who or why it had been built? I ended up here but no answers to my quiry. Hi Deb. I haven’t made it out there yet and don’t know any of the history, sorry I don’t have answers for you! Have you tried calling the local historical society? You are correct the park is in Beachwood. and not Bayville. I forgot where the border was and I knew that Double Trouble State park which is not far up the road is in Bayville as was the old junk yard on Double Trouble road. Thanks a lot for all the info Bob! Much appreciated! Updated the Maritime Trail with a few new pictures from our visit this weekend and a few more trail details. 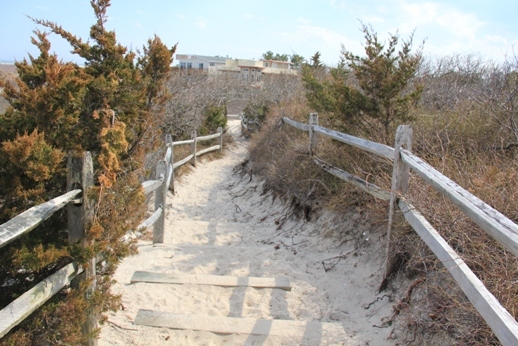 For those who have never been, this trail is really short (less than 1/4 mile), but offers a glimpse back into a time when the barrier islands of the Jersey shore were wood covered dunes, as well as great views of Barnegat Lighthouse. 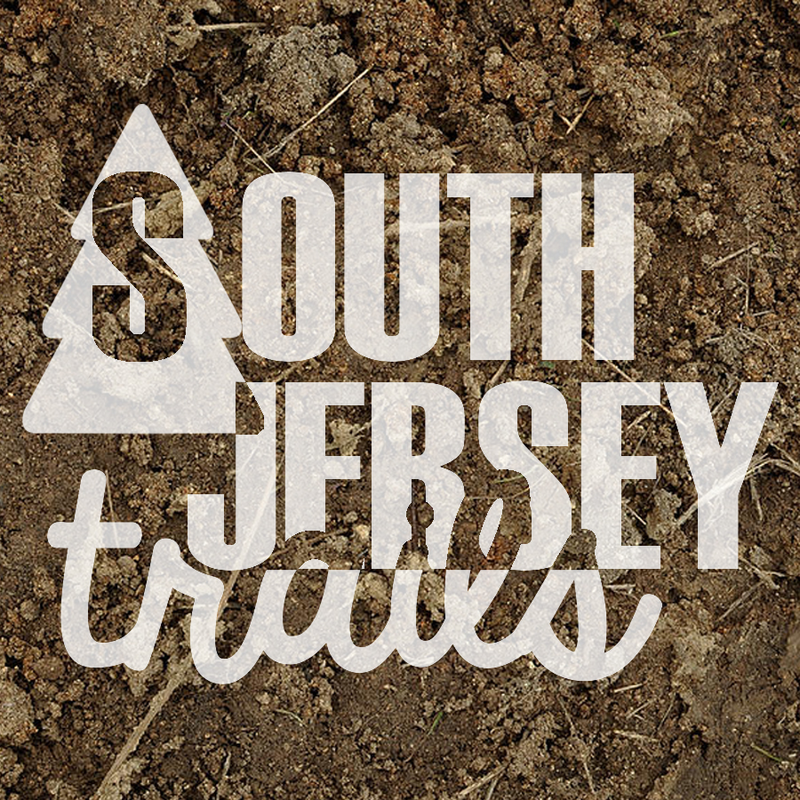 Don’t let the short length turn you off, this is one of our absolute favorite trails in South Jersey.